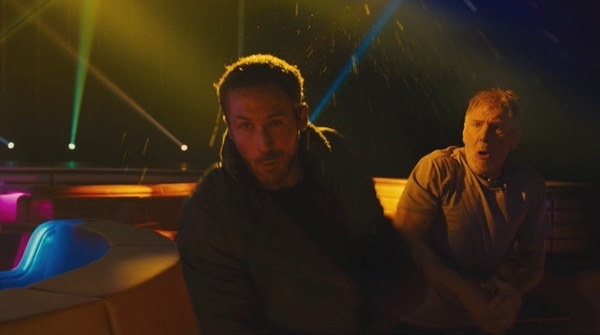 While filming Blade Runner 2049, Harrison Ford accidentally punched Ryan Gosling for real, right in the kisser. I’m sure there’s footage of this, but the still image obtained by “The Graham Norton Show” captures everything beautifully. I’m not sure if Ford is concerned, or if he just hurt his hand.